There are some features of Alkaline water ionizer which helps us to better understand how they work. The next key feature is Plates. There are mainly three kinds of plates that exist i.e., flat & solid, mesh and slotted. The flat and the solid plates are way better than the mesh plates and the slotted ones because they are easier to clean and are more last-longing. On the other hand, cost of mesh plates and the slotted plates are very meager and they are light weighted as well. But they are not durable in nature. The solid plates give a better life to your filtration system. The number of plates plays a very major role as the more plates you have the stronger your ionizer will be. Maximum plates should be up to seven. The next feature is pH or ORP Range. 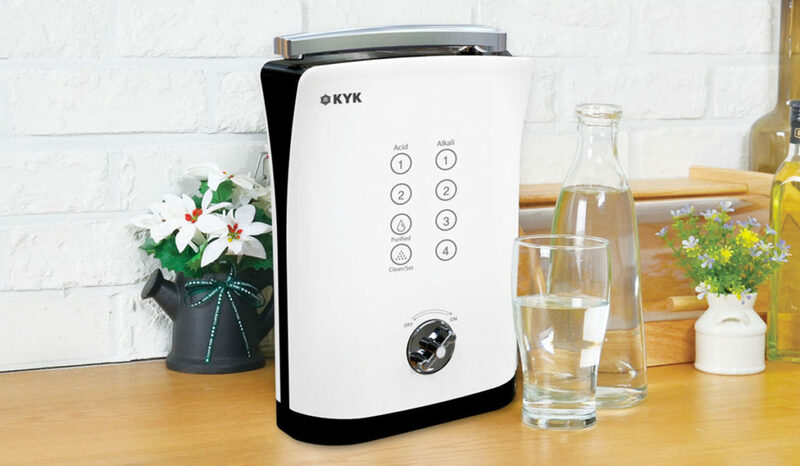 A good alkaline water machine should provide both alkaline and acidic water and construct a relatively high negative ORP value. We should always look for pH range of about 4-11 and at least a negative 800ORP while buying an alkaline machine. The pH scale spans from 0-14 with 7 being neutral. The range of alkaline water used for drinking should be in the 7+ range but should not exceed the range of 10. The pH range suggested by experts for drinking alkaline ionized water begin at 8.5 when just starting out, then moderately increase to 9.5 if needed. Higher alkaline levels (10+) can only be used for cleaning. Lower pH values are more corrosive and used for disinfecting use like you can use it to rinse your vegetables and wash out bacteria. When our tap is tested with a lower pH value, it is more prone to leach the minerals from our pipes. While the pH value is not necessarily harmful, if these metals from our plumbing systems are ingested on a regular basis it can eventually lead to health problems. This is why we need to care about the quality and pH value of our drinking water.